That phrase haunts NCAA college tongues since 1970. 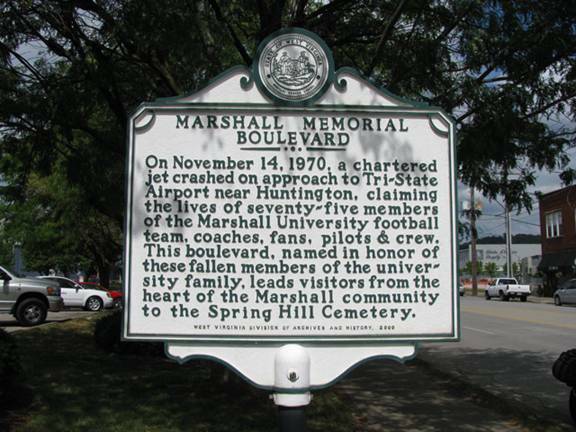 That was the year that at 7:36 pm on November 14, 1970, the aircraft carrying the Marshall University football team crashed into a hill just short of the Tri-State Airport, killing all 75 people on board. 37 members of the Marshall University Thundering Herd football team, eight members of the coaching staff, 25 boosters, and 5 flight crew members. The team was returning home after a 17–14 loss to the East Carolina Pirates in Greenville, North Carolina. The accident is considered the worst air disaster in American sports history. 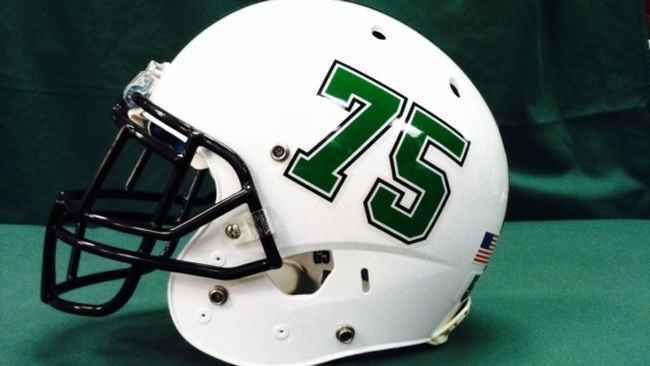 Last night on the 43rd Anniversary of that tragic event, the Thundering Herd honored that team by wearing commemorative helmets in a game where they traveled to take on Tulsa. Marshall won 45-34. This entry was posted in Football, NCAA, sports and tagged Marshall University, Thundering Herd. Bookmark the permalink. It’s amazing with all the teams flying every day there hasn’t been another major accident.